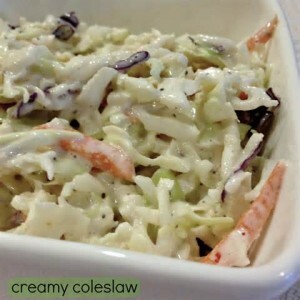 This is the best coleslaw I’ve ever tasted. Many of the ingredients are the same as in other coleslaw– the difference must be the celery seeds, vinegar and mustard. Don’t leave anything out. It’s perfect. I got this out of a Albuquerque newspaper years ago. 1. In a large bowl combine mayonnaise, sugar, mustard, vinegar, celery seeds, salt and pepper. 2. Add cabbage, carrots, green pepper, and onion and toss well to combine. 3. Cover bowl and refrigerate for 3 to 4 hours before serving for flavors to meld.